Developers, municipalities, counties and state agencies are continually discovering and rewriting internal policies for boardwalk standards. A timber boardwalk constructed of Southern Yellow Pine is no longer their only choice. Contract documents now show more detail and creativity - no more “cut and paste” with the same 10 ft timber boardwalk section. With more timber boardwalk alternates available, the debate around concrete boardwalks vs. timber boardwalks has become more prevalent in the news, blog articles, and professional associations. To say the least, timber boardwalks vs. concrete boardwalks is a pressing topic right now for those involved in rebuilding efforts at Rockaway Beach Boardwalk and Coney Island Boardwalk. The arguments concerning the advantages and disadvantages of timber and concrete exist globally! Instead of directly expanding on that debate, I’d like to provide a more technical, non-biased background to this ongoing conversation. 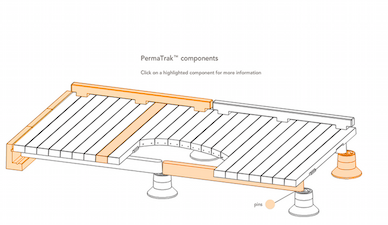 Engineers are faced with 6 key design differences between concrete and timber boardwalks. Photos of different boardwalk sections at Rockaway Beach in NY. You won’t find a design code specifically for boardwalks but with some interpretation of other design codes, you can find what you need. The structural engineer designing a boardwalk can refer to a few industry design references specific to timber or concrete. Timber boardwalk design is governed by the following two main design codes: the National Design Specification for Woods Construction (NDS) by the American Forest & Paper Association and the International Building Code (IBC), specifically Chapter 23. Local building codes may have their own building codes but typically are modified versions of the IBC. The IBC references NDS for timber design. Similarly, structural design for concrete is detailed in AASHTO LRFD Bridge Design Specifications, ACI 315-99 Details and Detailing of Concrete Reinforcing, PCI Design handbook, and AASHTO Guide Specification for Design of Pedestrian Bridges. Concrete’s self weight often will provide enough resistance against lateral or uplift loads. However, for larger lateral and/or uplift loads (stream debris, flooding, seismic), fasteners may be required.Concrete can be structurally fastened with commonly available and familiar industry components such as steel angles, expansion anchors or dowels. Epoxy adhesives supplied by popular companies as Hilti and Sika are used for connections made on site. 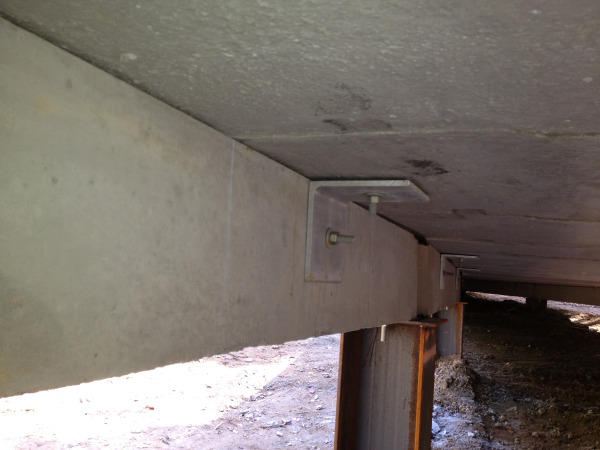 Precast concrete typically includes threaded inserts for fasteners and are available from popular concrete accessory companies (Dayton Superior or CONAC).In recent years, non-corrosive fasteners such as polyurethane connectors have been used to secure boardwalk components. 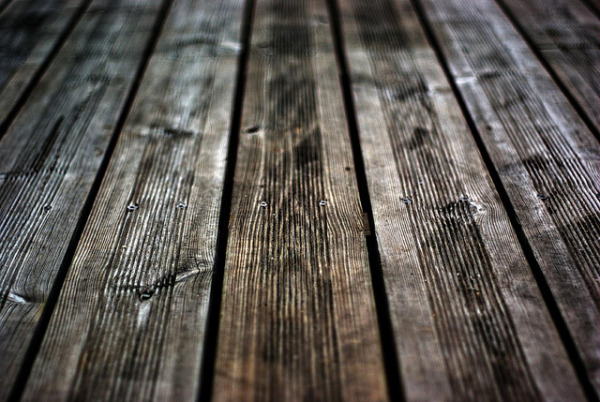 Timber boardwalk materials, specifically planks and beams, are lighter and typically smaller than concrete. Therefore, it takes less load to dislodge the members. Fasteners are required for all members; these typically include nails, screws, and bolts as either galvanized or stainless steel. Typically, every timber boardwalk plank is nailed to a stringer and every stringer is connected to headers at pile supports. Designers will find timber boardwalks to require a hundredfold more fasteners when compared to concrete boardwalks. Whether you are designing for a 60 psf uniform pedestrian load or a 30,000 lb construction live load, it’s important to understand the practical span limits of these two boardwalk materials. Timber can be fabricated with glulam beams to accomplish larger spans, and precast concrete can be manufactured to span rivers or streams. However, for typical boardwalks we are considering spans of 40 ft or less. Timber works best when used per the industry standards found in building code charts. Professional timber boardwalk designers approach foundation spacing in terms of 6 ft, 8 ft, 10 ft and 12 ft spans. Timber stringers running longitudinally (direction of travel) are often spaced at 12”, 14” or 16” on center. Concrete beams are typically not inventory items that come off the shelf but rather are “formed to fit” whether by a precast concrete producer or in the field by a contractor. 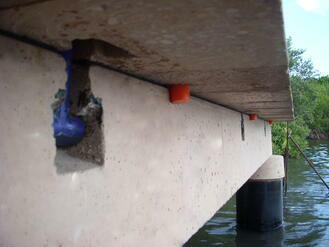 Due to the increased strength obtained from concrete, typically only two stringers are required per boardwalk section. However, depth is likely to be greater. Concrete beams with depths of 8” to 18” will allow for stringer spans up to 40 ft. Commonly, 10, 15, or 20 ft beam lengths are used for concrete boardwalks, allowing conventionally reinforced concrete to be used. Spans greater than 20 ft will typically require concrete stringers to be prestressed (think hollow core slabs, or prestressed box beams). Larger stringer spans may save money when pile driving is time consuming and costly. Rockaway Beach Boardwalk in New York is a prime example of a concrete boardwalk with reduced piles. 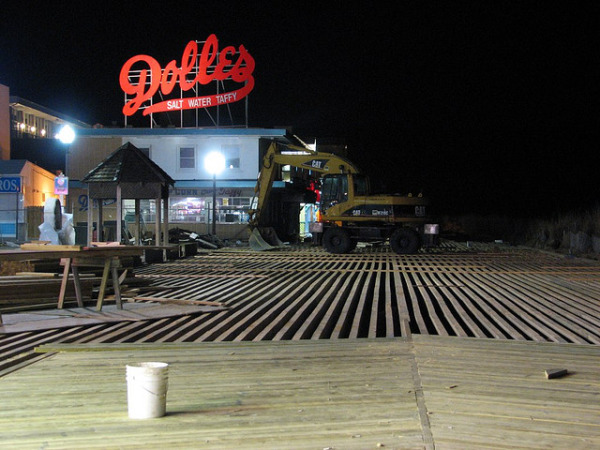 Having a detailed set of boardwalk plans doesn’t necessarily mean it can be cost-effectively constructed. Is it feasible to deliver and install the desired components in their final position at the site? Is the boardwalk located over hilly terrain in a remote area? 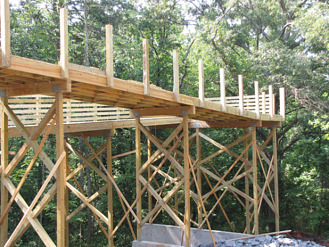 Timber boardwalks are good options for trail work located in remote areas. Unless the contractor has been eating an exorbitant amount of Wheaties, concrete boardwalks will require light lifting equipment (i.e. skid steer, mini excavator or Bobcat). Another key consideration is location. If the boardwalk will be located in a wetland or otherwise environmentally sensitive area, this may preclude the contractor from field cutting. 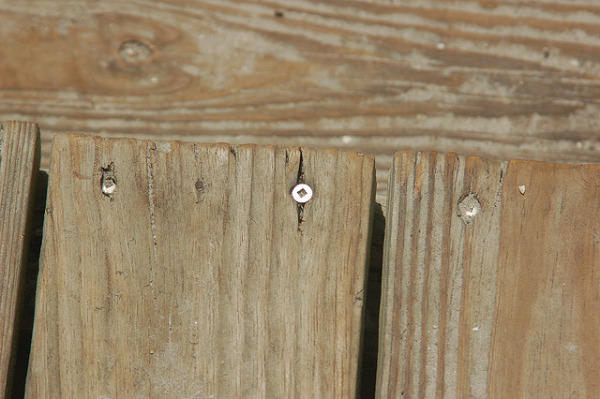 Pre-drilling the timber boardwalk fastener holes will also help reduce impact to the natural area, a requirement that will undoubtedly influence the installation cost. 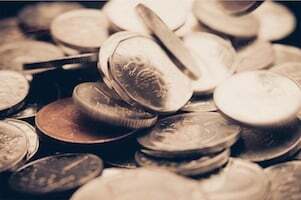 In order to help your clients’ boardwalk budget, try designing first with the industry standards. Timber is readily available in nominal lumber sizes (i.e. 2x10 or 2x12) and most commonly sold as Southern Yellow Pine. For increased strength and durability, denser woods are available. These come with a higher price tag and may need to be imported (i.e. Ipe from Brazil). Structural load capacities can easily be found for these sizes. 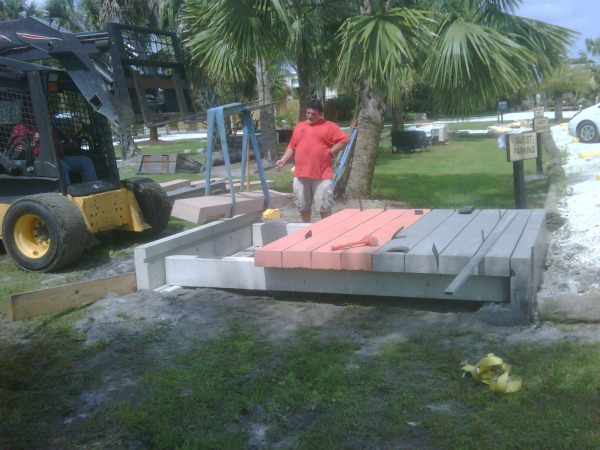 Precast concrete boardwalk systems define a 10 ft stringer span with a 9 ½” deep beam, 15 ft span with a 14” deep beam, and 20 ft span with a 18” beam depth. Responsible designers will evaluate the life cycle costs for the particular boardwalk application. If the boardwalk is a temporary (7-12 years), lightly loaded walkway then timber may the best answer. A life cycle evaluation should consider annual maintenance costs for staining, decking board replacement, reattachment of fasteners, cleaning, and/or structural replacement. Sunlight and UV exposure are key contributors to the rate of decay for timber boardwalks. Concrete design life expectancy beyond 50 years is attainable for concrete boardwalks. As a reference point, consider the Army Corps of Engineers recommendation for a 70-100 year design life for precast concrete pipe. US Army Corps of Engineers EM 1110-2-2902, October 31, 1997. These points are merely an overview of 6 basic design differences between concrete and timber boardwalks. Dozens more could be included in the conversation, but hopefully this summary taken from my design experiences can help other engineers and architects as they evaluate and design boardwalk systems. Click to read another blog post on design considerations related to marine construction.